It was an unusual situation for a UCLA basketball team, coached by John Wooden, to find itself in. They were behind. 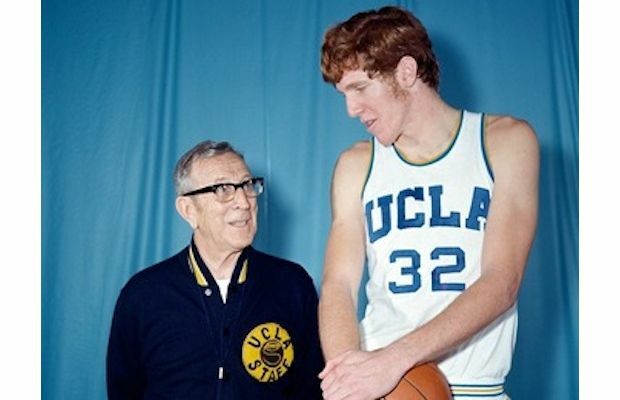 As their star player, Bill Walton, ran by Coach Wooden he asked him if he was going to call a timeout. Wooden said, “No, you know what to do. Now do it.” Like they did most of the time during Wooden’s incredible tenure as coach, they went on to win the game. Wooden’s favorite part of coaching was practice, not the games. He viewed himself as a teacher, and practice was his opportunity to teach. The games were the players’ opportunity to demonstrate what they had learned. I thought about Wooden and Walton, practice and games, after attending the wedding recently of Matt Grothe and Rachel Olson. Basketball wasn’t played at the reception. That’s not what triggered the memory. I’ve known Matt all his life. I taught him in confirmation and youth group, traveled with him to Bible camp each year and a lot of youth conventions. Trying to determine how many sermons he has heard me preach would require pulling out a calculator. In a way I have “coached” him at a lot of “practice sessions.” Now it is time to let him get in the game. Wooden wasn’t like some coaches. They’re on their feet the whole game, constantly yelling at their players, trying to guide every move they make. Sometimes their players get hesitant to play. They’re afraid to fail. They’re unable to think on their own. They don’t know what to do unless that angry voice is yelling in their ear. The coach needs to let the players play. The pastor/teacher needs to let young people grow up. They ought to be given the opportunity to put into practice what they have been taught. They’ll make some mistakes along the way, and experience some failure and challenges, as we all do. The teacher watches from the sidelines and gives support and encouragement, and is still available to provide instruction from time to time. But trying to direct their every move usually isn’t helpful. Wooden gave his instruction and guidance at practice. When it came time for the game, he trusted the players had been taught well. He didn’t believe in calling many timeouts. He had confidence the players would remember what they had learned. I don’t have confidence in what I did as Matt’s teacher over the years, but I have confidence in the Word of God that Matt was taught. The good seed of God’s Word was planted. The Holy Spirit has already begun causing that seed to grow and bear fruit. The Spirit will continue to do that. In II Timothy the apostle Paul gave his son in the faith some final instructions. “But as for you, continue in what you have learned and have become convinced of, because you know those from whom you learned it, and how from infancy you have known the holy Scriptures, which are able to make you wise for salvation through faith in Christ Jesus” (3:14-15). Paul knew there were dangers and trials ahead for Timothy. But he also knew Timothy had learned the Word. He knew the power of that Word and he trusted the Spirit of God would keep on working in Timothy’s life. Practice had gone well. It was now time to enjoy the game. Thanks for this post, Ceeg. I needed to read it today as my mentee from this past winter & spring left for college today. I had to give her over to God this morning in my prayer time and trust that she will remember what she has learned and seek Jesus in her new surroundings.